Warrington has been a major crossing point on the River Mersey since ancient times and there was a Roman settlement at Wilderspool. Local archaeological evidence indicates that there were Bronze Age settlements also. In medieval times Warrington's importance was as a market town and bridging point of the River Mersey. The first reference to a bridge at Warrington is found in 1285. The origin of the modern town was located in the area around St Elphin's Church, now included in the Church Street Conservation Area, established whilst the main river crossing was via a ford approximately 1 km upriver of Warrington Bridge. Warrington was a fulcrum in the English Civil War. The armies of Oliver Cromwell and the Earl of Derby both stayed near the old town centre (the parish church area). Popular legend has it that Cromwell lodged near the building which survives on Church Street as the Cottage Restaurant. The Marquis of Granby public house bears a plaque stating that the Earl of Derby 'had his quarters near this site'. Dents in the walls of the parish church are rumoured to have been caused by the cannons from the time of the civil war. On 13 August 1651 Warrington was the scene of the last Royalist victory of the civil war when Scots troops under Charles II and David Leslie, Lord Newark, fought Parliamentarians under John Lambert at the Battle of Warrington Bridge. The expansion and urbanisation of Warrington largely coincided with the Industrial Revolution, particularly after the Mersey was made navigable in the 18th century. As Britain became industrialised, Warrington embraced the Industrial Revolution becoming a manufacturing town and a centre of steel (particularly wire), textiles, brewing, tanning and chemical industries. The navigational properties of the River Mersey were improved, canals were built, and the town grew yet more prosperous and popular. When the age of steam came, Warrington naturally welcomed it, both as a means of transport and as a source of power for its mills. Many people, particularly Americans, remember Warrington best as the location of RAF Station Burtonwood Burtonwood RAF base. During World War II, it served as the largest US Army Air Force airfield outside the United States, and was visited by major American celebrities like Humphrey Bogart and Bob Hope who entertained the GIs. The RAF station continued in use by the USAAF and subsequently USAF as a staging post for men and material until its closure in 1993. Warrington was designated a new town in 1968 and consequently the town grew in size, with the Birchwood area being developed on the former ROF Risley site. Heavy industry declined in the 1970s and 1980s but the growth of the new town led to a great increase in employment in light industry, distribution and technology. On 20 March 1993, the Provisional Irish Republican Army (IRA) detonated two bombs in Warrington town centre. The blasts killed two children: three-year-old Jonathan Ball died instantly, and twelve-year-old Tim Parry, from the Great Sankey area died five days later in hospital. Around 56 other people were injured, four seriously. Their deaths provoked widespread condemnation of the organisation responsible. The blast followed a bomb attack a few weeks earlier on a gas-storage plant in Warrington. Tim Parry's father Colin Parry founded The Tim Parry Johnathan Ball Foundation for Peace (known as the Peace Centre) as part of a campaign to reconcile communities in conflict. The centre opened on the seventh anniversary of the bombing, 20 March 2000. He and his family still live in the town. In 1981, Warrington was the first place to field a candidate for the new Social Democratic Party; former Home Secretary Roy Jenkins stood for Parliament but lost to Labour Party candidate Doug Hoyle by a small number of votes. There was a RAF training camp at Padgate, a Royal Naval air base at Appleton Thorn (RNAS Stretton) and an army base at the Peninsula Barracks in O'Leary Street. The Territorial Army was based at the Bath Street drill hall until they moved to Peninsula Barracks. In October 1987, Swedish home products retailer IKEA opened its first British store in the Burtonwood area of the town, bringing more than 200 retail jobs to the area. Historically in Lancashire, Warrington was incorporated as a municipal borough in 1847 under the Municipal Corporations Act 1835. Warrington acquired county borough status upon reaching a population of 50,000 in 1900 and until 1974 was known as the County Borough of Warrington. As part of proposed local government reforms of England, in 1969 the Redcliffe-Maud Report suggested merging Warrington with either Merseyside or Greater Manchester metropolitan counties. Lobbying by the borough council averted this. But, since these county boundary changes were to make Warrington non-contiguous with Lancashire, under the local government reforms of 1974, Warrington, incorporating Lymm Urban District and part of Runcorn Rural District from Cheshire, and part of Warrington Rural District, was made a borough within Cheshire County Council. On 1 April 1998, Warrington became an independent unitary authority, though it is still served by Cheshire Police and Cheshire Fire and Rescue Service, and forms part of Cheshire for ceremonial purposes, such as the Lord Lieutenancy. Warrington has applied unsuccessfully for city status, the most recent attempt being after the opening of the Peace Centre as a "City for Peace". In March 2017, Warrington presented a bid to become UK City Of Culture for 2021. Along with Warrington, bids were made from other towns and cities across the UK including Perth, Stoke-on-Trent, Portsmouth, Wells and Sunderland. A shortlist was announced in July 2017 but Warrington failed to make the final shortlist. The current borders of Warrington Borough cover the former County Borough of Warrington, Lymm Urban District, Warrington Rural District and part of Golborne Urban District, part of Runcorn Rural District and part of Whiston Rural District. After the May 2016 election the political makeup of the borough council was as follows: 45 Labour councillors, 11 Liberal Democrat, 2 Conservative. 1 "split" Ward:, Westbrook (1 Labour, 1 Liberal Democrat). The Borough of Warrington contains 18 Parish councils as well as a central unparished area (see list of Civil Parishes below). At Westminster, Warrington is represented by two MPs. Helen Jones (Labour) represents Warrington North, and Faisal Rashid (Labour) represents Warrington South. The Borough of Warrington is bordered by Halton, Cheshire West and Chester, and Cheshire East boroughs in the Ceremonial County of Cheshire and by the metropolitan boroughs of Trafford, Salford and Wigan in Greater Manchester and St. Helens in Merseyside. Warrington has a temperate maritime climate with warm summers and cool winters. Rain is spread across the year, with thunderstorms only usually occurring in the summer months. Summer heat waves are rare but can cause temperatures to exceed 30 °C. Summers are usually snow- and frost-free and rarely experience high winds. Winters are generally mild, with most days above 0 °C and free of lying snow. However, during occasional lengthy cold snaps, night-time temperatures have been known to fall to −12 °C with lying snow lasting for weeks. Ground frost regularly occurs from late October until late March. High winds are common in winter, although rarely above gale force 7. At the 2011 census, Warrington had a total population of 202,200, of which 49.6% are male and 50.4% are female. The average age of the population is 38.06 years, which is slightly below the regional and national averages. In 2016 it was estimated that the current population of Warrington is 208,800. In addition to English, a further 36 languages were recorded spoken by more than 0.01% of Warrington's population aged 3 and over in the 2011 census. Those spoken by more than 0.1% were Polish (0.88%), Slovak (0.21%), Urdu (0.14%), Latvian (0.12%) Non Mandarian or Cantonese Chinese (0.12%) and Tagalog/Filipino (0.11%). There are around 100 churches or other Christian communities, two mosques, and a Sikh temple Guru Nanak Gurdwara which is the only Sikh place of worship in Cheshire. The most multicultural parts of Warrington are in the town centre, as well as the western and north western suburbs, such as Bewsey and Westbrook. In 2011, the town was 92.9% White British, 2.3% other White, 2.4% Asian and 0.3% Black. At the 2011 census, the borough of Warrington had 85,100 households. From 2001 data (80,593 households), 76% were owner occupied, 17.6% were rented from the council, 4.8% were rented from other sources and 1.6% of houses had residents who lived rent free. Warrington has a population density of 10.7 residents per hectare, and 31.9% of residents describe the borough is a comfortably well off area, 4.3% of households are deemed overcrowded. Of the total population, 5.8% of residents are on some form of benefits. At 2005, the borough of Warrington had 63.6% employment, with only 2.9% of all economically active people unemployed – although a substantial rise began in 2008 due to the recession. 2.3% of the population are students in full-time higher education. 31.1% of the total population are economically inactive (due to retirement, ill health, or full-time carer status). According to borough statistics, of the population (in the Borough of Warrington in 2005). 26.9% are unqualified (either due to leaving school early or failing the end of school examinations). 46.4% have level 1 or 2 qualifications (level 1 being 1+ GCSE (A*-G) or "O" Level or equivalent, level 2 being 5+ GCSEs (grades A-C), 1+'A' levels/ AS levels (A-E) or equivalent). 19.7% have received level 3+ qualifications (meaning 2+ A-levels (A-E), 4+ AS-levels (A-E) or equivalent minimum). This is a chart of trend of regional gross value added of Halton and Warrington at current basic prices. There is a large Unilever factory in Warrington where detergents are made. Warrington Council and Warrington & Halton Hospitals NHS Foundation Trust are major employers in the borough. ESR Technology's main operations are located at Warrington. In spite of its proximity to significant retail areas in Manchester, Liverpool, Chester and the out-of-town Trafford Centre, Warrington continues to have one of the larger shopping centres in North West England. Despite the competition, Warrington has seen an increase in its customer trade, due in part to the modernisation of the town centre. It has a shopping centre (Golden Square) first opened in 1974, which has been extended to include a Debenhams store, as well as a Primark store, and a new bus station. The centre has over 135 different shops. The old Cockhedge Textile Mill was demolished and replaced by another shopping mall. The main shopping streets are Buttermarket Street, Horsemarket Street, Sankey Street and Bridge Street. Where these four streets intersect at Market Gate, there is an award-winning redevelopment with a large fountain and "guardians" (known locally as "the skittles") designed by Howard Ben Tré. Musical instrument retailer Dawsons Music originates in the town, and has been on Sankey Street since 1898. The town also has a large indoor market, and several other small shopping malls, such as Hatters Row. In the surrounding modern suburbs, there are several shopping areas, from small groups of shops to malls such as Birchwood Mall. IKEA chose Warrington as the location for their first store when they came to the UK; the store is located in the large out-of-town shopping area of Gemini, which has a large Marks and Spencer (the third biggest in the UK), Toys "R" Us, and Next outlets. There is ten-pin bowling located at Winwick Quay, and indoor paintball. An indoor karting centre is located near to Bank Quay. Alongside the karting centre is a golf driving range, with an American golf shop attached. Pitch and putt and crazy golf are available at Walton Hall and Gardens. A Laser Quest arena and a snooker club can also be found in Warrington, both located close to the town centre. Gulliver's World theme park is located in Old Hall, Apple Jack's Farm theme park is situated in Stretton. The Omega Development Site close to the M62 on the northern edge of Warrington is a major business park to be developed in stages over the next 30 years. The site for this is the 575 acres (2.33 km2) of space on the former Burtonwood Airbase. Other planned developments in Warrington were delayed by the economic climate, but redevelopment of the Time Square area, including a new Market, multi-story car park with around 1,200 spaces, cinema, retail outlets and council offices which is expected to be completed by 2019. Warrington has also set out its plans to become a "New City" by looking to build up to 24,000 new homes and around 381 hectors of employment land over the next 20 years. Included in the plans are a new "Garden City Suburb" in the south of Warrington. The 4 main areas of growth as outlined in the planning are the waterfront around the River Mersey, the City Centre, the Garden City Suburb and south west urban extension. Once the new homes and employment areas are built it is hoped that it will take the population of Warrington to around 350,000. The town has two main railway stations. Bank Quay is on the main West Coast Main Line between London Euston and Glasgow Central and the Manchester Piccadilly to North Wales via Chester line. Central is on the Liverpool to Manchester line (via Widnes and Warrington) with through services to the North East and to East Anglia. Bank Quay is much altered, but Central (built 1873) is of some architectural merit, featuring polychromatic brickwork. Both have undergone some refurbishment including new entrances. There are also railway stations in the suburbs at Padgate, Sankey, Glazebrook and Birchwood. A new railway station is due to be constructed in Chapelford in the west of Warrington and will be ready for use in 2018. 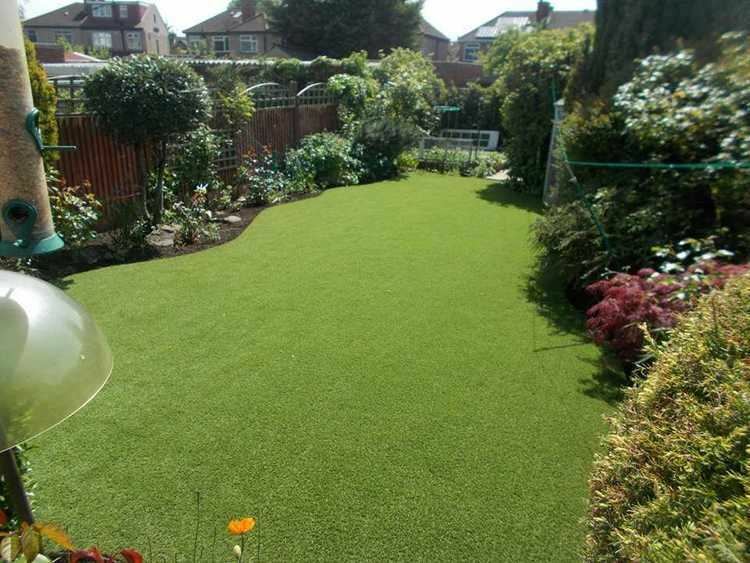 The town lies close to the M62, M6 and M56 motorways and midway between Liverpool and Manchester airports. It also has four Primary A roads, A49, A50, A56 and A57. The A580 (East Lancashire Road) forms part of the northern boundary of the borough. Warrington Borough Transport, trading as Network Warrington, one of the few municipal bus companies to survive in public ownership, runs most bus services within the town. FirstGroup and Arriva North West provide bus links to surrounding towns and cities such as Manchester, the Trafford Centre, Liverpool, St Helens, Runcorn, Widnes and Chester. A real-time passenger information system was installed and has recently been updated. A new bus station known as Warrington Interchange opened in 2006 at the Golden Square Shopping Centre. The River Mersey runs through the heart of the town dividing it in two. There are only two main thoroughfares crossing the Mersey in Warrington: at Warrington Bridge at Bridge Foot and at the Kingsway Bridge. Before the M6 was built, these routes were very busy with through traffic. The Manchester Ship Canal runs through the south of the town; three swing bridges and a high-level cantilever bridge provide crossing points. Although shipping movements on the ship canal are far less frequent than in years past, they can cause severe delay to local road traffic. The picturesque Bridgewater Canal runs through the borough from the scenic village of Lymm to Walton Hall and Gardens, a local park/leisure area. The course of the Sankey Canal runs through the west of the town, although most of it is not suitable for navigation. The building opened on 21 August 2006, next to the site of a temporary terminus that had been in use for the past thirteen months. The new interchange was built in conjunction with the extension and upgrade of the adjoining Golden Square shopping centre, and replaced the previous bus station which dated from 1979. The interchange consists of 19 departure stands, numbered from 1 to 19, all of which employ a drive-in reverse-out layout. Each stand has a computerised information screen which also ties into the real-time information system. All stands are served from the main concourse building, which contains toilets, two coffee shops, and a combined travel and tourist information office. There is access to the shopping centre via escalators and lifts. The exits on the eastern side of the building lead onto Winwick Street, on which can be found a taxi rank and Warrington Central railway station within around 100 metres. 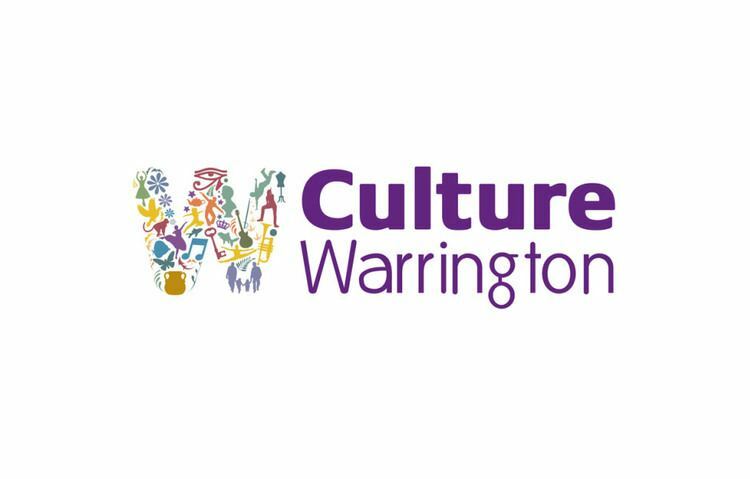 In March 2017 Warrington Borough Council made an unsuccessful bid to become the UK City of Culture in 2021..
Warrington has a concert hall (the Parr Hall), an arts centre (the Pyramid), three museums, and various public libraries throughout the borough. Warrington Central Library was the first rate-supported library in the UK. There is a cinema at Westbrook, and another is being constructed as part of a town centre redevelopment. There are several parks (see also Parks in Warrington) and designated nature reserves at Woolston Eyes, Risley Moss, Rixton Claypits and Paddington Meadows. Warrington Museum & Art Gallery is situated in Warrington's Cultural Quarter on the first floor of a building it currently shares with Warrington Central Library. The town is also home to the Museum of Policing in Cheshire, located in part of the working police station and the Warrington Museum of Freemasonry. A heritage centre for the village of Lymm was given planning permission in February 2016. A number of festivals, carnivals and walking days are held annually in the Warrington area. Warrington Walking Day – originally a Sunday school festival – is held on the closest Friday to the last day of June, and the town centre is closed to traffic as churches walk together through the streets. Regular series of free classical music concerts take place in Holy Trinity Church, organised by the WACIDOM. This charity is also responsible for the biennial Warrington Competition for Young Musicians, held at Arley Hall. Regular classical recitals also take place at Walton Hall and St Wilfrid's Church, Grappenhall. Warrington also has many musical groups, including Warrington Male Voice Choir, Gemini Musical Theatre Company (formerly Warrington Light Opera), Warrington Youth Orchestra, North Cheshire Wind Orchestra, Centenary Theatre Company and the award-winning barbershop chorus, the Cheshire Chord Company. A number of rock and pop musicians are associated with Warrington. Madchester pioneers The Stone Roses are closely associated with the town, particularly the native lead singer Ian Brown. Other artists include Spike Dawbarn from 90's music act band 911, Kerry Katona of Atomic Kitten, Ben Byrne and James Stelfox from Starsailor and Tim Bowness of No-Man. The band Viola Beach (whose single "Swings & Waterslides" posthumously entered the UK Singles Chart at number 11) were formed in Warrington. The Hit Man and Her TV Show featuring producer Pete Waterman (of Stock Aitken Waterman) and Michaela Strachan debuted and regularly returned to the Mr Smiths nightclub in Warrington. The historic core of Warrington contains many significant heritage assets such as Warrington Town Hall, St Elphin's Church and Warrington Museum situated with Conservation Areas. In a 2015 study by the Royal Society of Arts , Warrington scored lowest of all authorities in the UK in terms of heritage assets, and the town was described in the national press as "the least cultural place in Britain". The University of Chester has a campus at Padgate that was formerly part of Warrington Collegiate. Warrington is home to two colleges: Priestley Sixth Form and Community College and Warrington Collegiate. A University Technical College is now open and is situated close to the Town Centre and is sponsored by Manchester Metropolitan University. Most of the high schools have their own post-16 provision (sixth-form). Woolston High School closed in 2012. There are also 69 primary schools in the borough. The Manchester Japanese School (マンチェスター日本人補習授業校 Manchesutā Nihonjin Hoshū Jugyō Kō), a weekend Japanese educational programme, is held at the Language Centre at Lymm High School. Football is represented by Warrington Town at Cantilever Park, next to the Manchester Ship Canal. The club has several nicknames including Town, Yellows and The Wire. Warrington Town are currently in the Northern Premier League Premier Division following promotion in 2016. Rowing in Warrington may well have been taking place for nearly 200 years. It is known that Warrington Regatta is well over 150 years old, often attracting large crowds on the riverbank. The modern Warrington rowing club started in the mid-1980s and is based near Kingsway Bridge. Warrington is home to both recreational and competitive rowers with some of these athletes now winning national standard events and will be pulling on international vests, Olivia Whitlam along with Richard Egington, were the first rowers from Warrington at the Olympics. The club is now bigger than ever with a large number of juniors, seniors and veterans and is just about to embark on its next project – a new boathouse with state-of-the-art facilities for both the club and local community. Warrington Rowing Club is an accredited Explore Rowing club, which is part of a national strategy led by British Rowing. The purpose of this scheme is to introduce rowing to as many people as possible irrespective of whether they want to take up the sport competitively or on a recreational basis. Warrington Wolves Basketball team was set up in 2009 and competes in the English Basketball League Division Four. Warrington has four predominant Rugby Union teams; Warrington RUFC, Lymm RFC, Gentlemen of Moore RUFC and Eagle RUFC, who are based at Thornton Road. Warrington's longest established newspaper is the Warrington Guardian. Published weekly and costing £1, it is currently owned by Newsquest and has sales of just over 17,000. Bridge Foot based Orbit News Ltd produce a monthly free news magazine, Warrington Worldwide, as well as six community magazines and a news website. The free monthly newspaper South Warrington News is also distributed in the southern half of the borough. Community radio station Radio Warrington broadcasts from a studio in Warrington Retail Market. They hold an AM licence and have received planning permission for a transmitter, however, their broadcasts are currently only available online. Independent Local Radio station Wire FM, now based in Orrell, also serves the Warrington area. Warrington Town Hall (and its golden gates), formerly Bank Hall (built 1750), the home of the Philips family and their scion the artist Nathaniel George Philips. The Academy, a dissenters' institute where Joseph Priestley once taught. After being moved from their original location, the building housed the offices of the local newspaper the Warrington Guardian until June 2016. A Grade II listed statue of Oliver Cromwell stands in front of the Academy. The 14th century Parish Church of St Elphin, largely a Victorian rebuild with a 281-foot (86 m) spire, the sixth tallest in the UK. Parr Hall, home to one of the few remaining Cavaillé-Coll organs. Pyramid Arts Centre on Palmyra Square. Warrington Transporter Bridge, a Grade II* listed building and a Scheduled Ancient Monument. Warrington Museum & Art Gallery, Grade II listed building and one of the oldest municipal museums in the UK. The row of late Victorian terracotta clad shops on Bridge Street. Old St Ann's Church, 1869, Grade II* church designed by John Douglas, now a rock climbing centre. St Mary's Church, Grade II church designed by E.W. Pugin and Peter Paul Pugin in Buttermarket Street. The former Woolworth's Building in Sankey Street (originally Garnett's furniture showroom and currently Poundland). Musical instrument retailer Dawsons Music has been based on Sankey Street since 1898, where its headquarters remain to this day. James Bell (priest) (1524-1584), Catholic priest and martyr, born in Warrington. Thomas Dallam (c1570 - 1614), Organ builder and Elizabethan trade envoy to Constantinople. His family came from Dallam. Anna Laetitia Barbauld (1743–1825) poet and literary critic; lived in Warrington 1758–1774. Anna Blackburne (1726–1793) English naturalist and correspondent of Linnaeus; lived and died in Warrington. John Harrison (1693–1776) inventor of the marine chronometer that enabled the establishment of longitude; long time inhabitant of Warrington. Peter Litherland (1756–1805) watchmaker and inventor of the lever watch; born in Warrington. Joseph Priestley FRS, (1733–1804) non-conformist clergyman, philosopher and scientist, discoverer of oxygen; lived in Warrington and taught at the Warrington Academy between 1761 and 1767. Hamlet Winstanley (1698–1756) painter and engraver; designer of Stanley Street in Warrington town centre. Born in Warrington and lived there in his later years before dying there. William Beamont, Victorian solicitor and local philanthropist, who founded several churches and the municipal library (the first rate-aided library in the country). Luke Fildes (1843–1927), artist, studied at Warrington School of Art. William Norman, VC (1832–1896), a local war hero, was born in Warrington. Anthony Whittaker, composer and pianist was born in Warrington in 1968. Bill Ryder-Jones, former guitarist of The Coral was born in Warrington. Bob Fulton, Australian Rugby League player and selector, was born in Warrington. Chris Braide, songwriter and record producer, was born in Warrington and lived in Padgate. Chris Evans, DJ and TV presenter, was born and grew up in Warrington. Comedy Dave Vitty, D.J Sidekick and Dancing on Ice contestant, relocated from Hong Kong and spent much of his childhood in Warrington. Curtis Jobling, author, illustrator, animator and production designer of Bob the Builder, lives in Warrington. Darren Jeffries, actor, best known for his role as OB in Hollyoaks. Edwin 'Ted' Astley, composer, most notably the theme to The Saint, and Danger Man. Garry Newlove, victim of high-profile murder in August 2007, died after being attacked outside his house in the Fearnhead area of the town. George Duckworth, first class cricketer, who played Test cricket for England, was born in Warrington. He played first class cricket for Lancashire between 1923 and 1947. George Formby, entertainer, lived for many years in Warrington and is buried in Warrington Cemetery, with his father George Formby Sr, also an entertainer. George Sampson, dancer and winner of Britain's Got Talent in 2008. Helen Walsh, writer and film director. Herbert "Burt" Kwouk, actor, The Pink Panther films, was born in Warrington. Ian Brown, lead singer of The Stone Roses, was born in Warrington and lived in Forster Street. He now lives in Lymm. James Chester, footballer currently playing for Hull City A.F.C. was born in Warrington. Jan Linton, singer-songwriter, was born in Warrington, but re-located to Japan. Jesse Lingard, footballer for Manchester United F.C. was born in Warrington. John Bramwell, singer-songwriter (frontman for the band I Am Kloot) was born in Warrington in 1964. Kerry Katona, singer/actress, was born and grew up in Warrington. Neil Fairbrother, first class cricketer, who played Test cricket for England, was born in Warrington. Neil McGrath (born 1942), former British racing driver. Ossie Clark (1942–1996), fashion designer, grew up in Warrington where he attended William Beamont Secondary Technical School. Paul Hanagan, twice British champion flat jockey was born in Warrington in 1980. Pete McCarthy, actor, was born in Warrington and is honoured in a plaque on the wall of the Pyramid Arts Centre. Pete Postlethwaite (1946–2011), actor, was born in Warrington. A studio in the Pyramid Arts Centre has been named after him. Pete Waterman, record producer, lives in Warrington, in the village of Winwick. Rebekah Brooks, journalist, newspaper editor and former chief executive of News International) attended Appleton Hall County Grammar School in Warrington. Roger Hunt, footballer for Liverpool F.C., member of England's 1966 World Cup winning side, was born in Glazebury and lives in Warrington, and was made a Freeman of the Borough on 5 December 2016. Stephen Foster, defender and captain of Barnsley F.C., was born in the town. Stephen Hough, international concert pianist and classical composer, was raised in Warrington. Steve Donoghue, jockey, ten times British flat racing Champion Jockey, born in Warrington. Steven Arnold, actor, best known for his role as Ashley Peacock in Coronation Street, was born in Warrington. Sue Johnston, actress, Brookside and The Royle Family. Tim Bowness, singer-songwriter (best known as singer for the band No-Man) was born and brought up in Stockton Heath, Warrington. Tim Curry, actor, singer and composer, was born in Warrington and lived in Grappenhall. Warren Brown (actor) Regular BBC actor, born and lives in Warrington. Warrington is twinned with Hilden, Germany and Nachod, Czech Republic. The villages of Lymm and Culcheth within the borough are twinned with Meung-sur-Loire, France and Saint-Leu-la-Foret, France respectively.